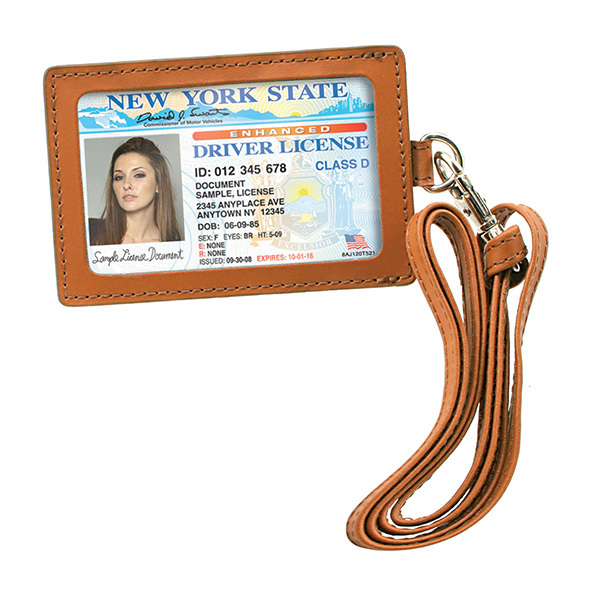 State your name is a stylish way with this Park Avenue Leather ID Holder! 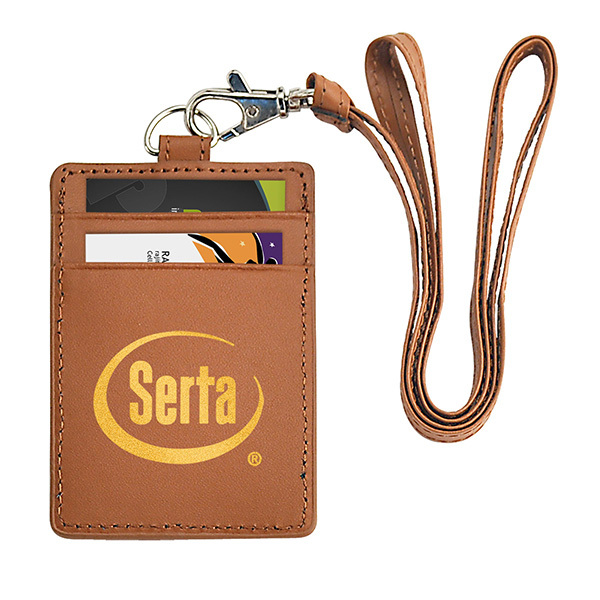 Your ID card will be elegantly displayed in this holder that features detail stitching, a swivel clasp that easily detaches, neck cord and 2 card slots on the back panel. The beautiful Cortina cowhide leather is available in black and tan, making an imprint of your logo or company name stand out from the rest. From new employee gifts to fundraisers, this leather holder will display your brand's elegant style! Item Size 4 1/4" x 2 5/8" x 1/8"
Case Dimensions 11.75" x 16.125" x 12.25"